Many people may know hydrogen to be the main component of water and the most abundant element in the universe. But what many people may not know is adding hydrogen molecules to water can make the water healthier to drink than regular water. Regular water, such as bottled water, tap water, reverse osmosis (RO) water, and well water, can help keep your body somewhat hydrated. However – RO water and some bottled water brands that went through RO before they were bottled are stripped of essential minerals that your body needs. Some of these water sources are more likely to contain harmful contaminants and bacteria that can make you sick, such as well water, tap water, and some bottled water brands. What’s worse is that plastic water bottles have been known to leach dangerous chemicals into the water, such as phthalates (which contain properties found in the female hormone estrogen). Drinking alkaline water boosted with molecular hydrogen from a water ionizer is the best source of hydration and can unlock more health benefits than what you’ll find in regular water. You may be curious as to what hydrogen water can do…so, we’ll discuss some benefits below. Hydrogen water helps protect against oxidative damage. Hydrogen water boosts recovery during prolonged exercise. Hydrogen water helps with preventing inflammation. Hydrogen water helps boost your mood and may even help reduce your stress levels. To gain access to all these health benefits, you might think that you must pay a lot of money to drink hydrogen-rich alkaline water every day. However, we have some good news for you. You can save a ton of money by installing a water ionizer in your home that can transform regular water into high-quality alkaline hydrogen water that’s clean and healthy! 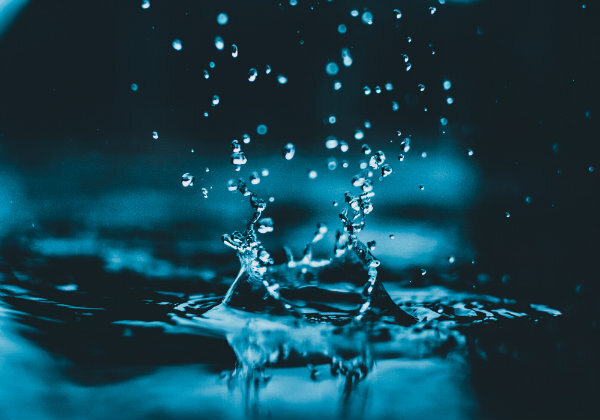 Many water ionizers on the market can produce alkaline water that contains molecular hydrogen – but some machines are much higher quality than others. We’ve spent quite a bit of time over the past few years trying to find the best molecular hydrogen water machine on the market. Our research led us to find a few machines that are worth mentioning. Let’s discuss each of these machines below. 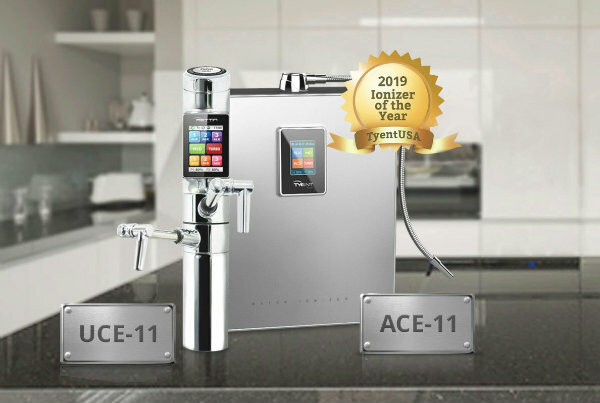 We determined that the best hydrogen water maker on the market is Tyent’s 11 Series, available in both countertop (ACE-11) and under counter (UCE-11) models. Both the ACE-11 and UCE-11 come installed with technologically advanced components such as 11 Solid/Mesh Hybrid plates, a 10-amp SMPS power supply, and an interactive state-of-the-art touchscreen display. Hydrogen-rich alkaline water produced by these premium water ionizers is guaranteed to be clean thanks to its 0.01-micron filtration system that easily filters out bacteria and other fine particles. 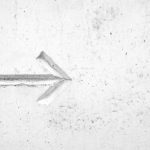 In fact – Tyent’s filters are the largest available on the market and are capable of providing the same filtration levels as those found in kidney dialysis machines. Automated self-cleaning technology also keeps the machine and water clean with a cleaning cycle that runs at least once a day or more, depending on how often you use the machine and which pH levels you select. These electric machines can also make a wide range of pH levels from 2-12, as well as the best flow rate and -ORP levels up to -1200. You will get to enjoy the most therapeutic levels of alkaline hydrogen water that is rich in essential minerals and antioxidants that can boost your health and longevity. 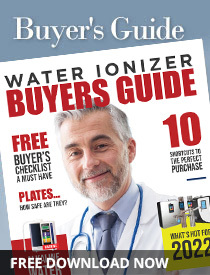 It’s no accident that Tyent 11 Series water ionizers are our 2019 Editor’s Choice Awardee. The Tyent MMP-9090 is very effective in converting tap water into alkaline hydrogen water using 9 hybrid mesh plates and can produce water with pH levels ranging from 2-12. The MMP-9090 also features 3 alkaline and 2 acidic levels, as well as 2 turbo settings (one alkaline, one acidic) that are useful for various household applications such as cleaning, sterilizing, or disinfecting. The machine also has an additional setting that allows pure filtered water when you need to drink neutral pH water during meals and when taking medications. The MMP-9090 is easy to use thanks to the advanced touch-screen control panel. All settings and presets can be modified straight through the touch-screen for full control. You won’t see any unsightly knobs and buttons on this hydrogen-rich alkaline water machine. 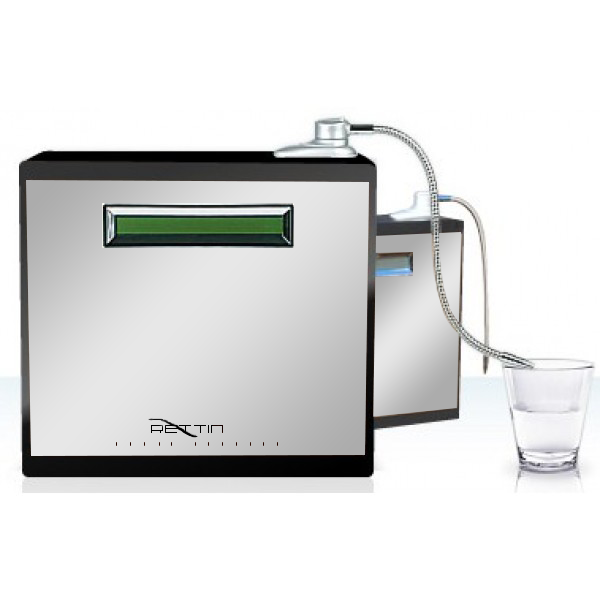 Overall, the Tyent MMP-9090 Turbo Extreme is a powerful and versatile machine that produces high-quality hydrogen alkaline water and can reach a wide range of pH levels for various uses. For those looking for a more affordable electric water ionizer, Hydrent offers a solid machine that performs better than other machines at a similar price point. Hydrent ionizers come installed with 5 platinum-coated titanium plates that are powerful enough to produce a pH range of 4.5 to 10.5. The Hydrent also uses the same SMPS Plus power supply found in Tyent water ionizers. This power system allows 50 different power setting adjustments that provide great water output and quality, regardless of your source water. These electric machines are built with a dual filtration system composed of layers of carbon, ceramic, and mesh filters. These filters include an internal sensor that will sound an alert when it is time to replace the filters. Hydrent machines are also easy-to-use thanks to their advanced LCD touch screen technology that is better than other 5-plate water ionizers on the market. You can also count on a full protection warranty that covers both parts and labor for 5 years. Put simply – the Hydrent is one of the top affordable options on the market when you’re looking for an electric hydrogen water generator. For a budget brand, you can’t beat the combination of great filtration, high-quality plates, and low cost. 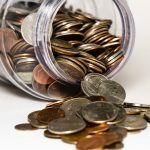 If you find it difficult to pay upfront for one of the high-quality electric water ionizers, then be sure to look into their financing programs. However, if you’re just getting your feet wet in the water ionizer world, then there is a non-electric machine from HydrogenX. HydrogenX water ionizers create alkaline hydrogen water that can reach a pH of 9.5 and -ORP levels between -200 and -400. This machine also has a small footprint, meaning we can keep our kitchen counter clutter-free. Stay tuned for updates on HydrogenX because their holding company is currently exploring options. 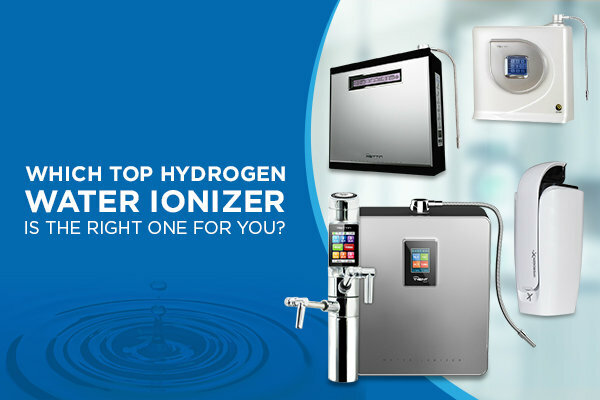 Aside from providing you with healthy hydrogen water and the features we mentioned above, these 4 water ionizers also have tons of other wonderful benefits that you can learn about in our FREE Water Ionizer Buyer’s Guide. When compared to other machines we researched, no water ionizer can match the elite performance and technology of a Tyent ACE-11 or UCE-11. Tyent does a great job of making it easy for people on fixed incomes to own their premium machines by offering friendly payment options. Qualified applicants can enjoy putting as low as $0 down with monthly payments as low as $99/month. If you would prefer to enjoy antioxidant hydrogen water from a non-electric unit whenever you want – then you can look at HydrogenX. If you want to compare these top machines side-by-side through your own research efforts, then head over to our Water Ionizer Reviews section for an in-depth analysis. Put some hydrogen water into your life for best results!